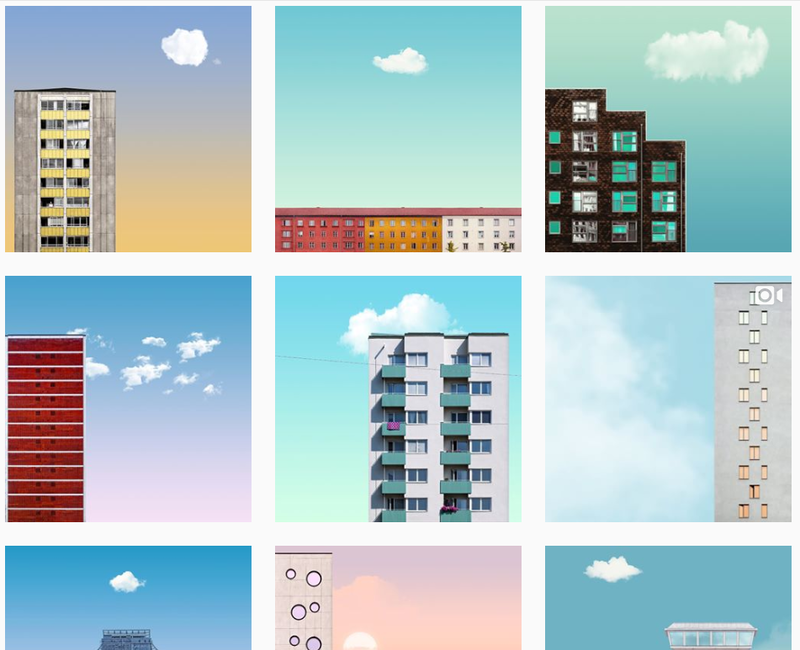 Lilla Vardag is one of my favourite Instagram accounts - the account is a celebration of Malmö and all the great things about this quirky little city of ours. Malmö has a pretty poor rep in Sweden (and internationally) for being ridden with crime. A far as I'm concerned, that's a misguided interpretation of Malmö - the number of reported crime in Malmö has been on the decline since 2009, and there are significantly fewer crimes reported in Malmö per capita than in Stockholm. My analysis is that since Malmö is smaller, people think of the Malmö suburbs as Malmö, whereas the suburbs in Stockholm are thought of as - indeed - the suburbs. Either way, it doesn't really matter whether the crimes occur in the suburbs or not - what does matter is when cities are thought of as unsafe when they're not. Considering the current political climate in Sweden and beyond, narratives play a huge role in contemporary politics. That's where Lilla Vardag comes in. Although they're a lifestyle account, it becomes political since they're portraying what it's like to live in Malmö as a young professional, showing that it's neither dangerous nor rough. They cover new cafes, restaurants, and fun people in the city (like myself lol, see here for an interview they did with me in December last year). Malmö is the fourth most international city in the world (after NYC, Washington DC and London), so it's little surprise that some of their followers have asked them for an English version. It's been two years since I left London for Malmö, and I have no plans of returning to London. I bought a house in what Malmö residents consider the "outskirts" of Malmö (aka a ten-minute bike ride from the city centre, lololol). It's a glorious 1 bed flat (a Swedish tvåa) and it cost me £80,000(!) - you can see it here. This is, of course, just one aspect of living in Malmö vs living in London, but considering that it takes less time to get to Copenhagen than it did for me to get from Stoke Newington to central London, Malmö has nearly all the metropolitan benefits that London does. Without the extortionate housing prices. Malmö's startup scene is booming, and has been for the past few years. The city has raised more venture capital than any other non-capital in the Nordics, even surpassing Oslo(!). What's phenomenal about the startup scene in Malmö is that it's perhaps surprisingly friendly and approachable - the city's startup community is hungry for young talent and if you've got skills and/or enthusiasm to offer, you're likely to get snapped up quickly. Malmö's startup community is also buzzing with expats, so if you're en expat yourself, chances are you'll feel right at home. If you want to set up a startup of your own, Minc - the startup house in Malmö, and where I used to work - has an incubator and a Startup Labs where anyone with a scalable business idea can come and work for free. I asked Lilla Vardag's followers for their favourite Malme café - and got some 30 responses. Here are some of them. - Malmö Sommarscen - it's running for another week, make sure you don't miss it! - Malmöfestivalen - starts next Friday and goes on for a week, with artists like Thåström(!!) and Ozzy playing, and, of course, free yoga in the park (goals). - The Festival - a spin-off from The Conference, the annual conference on tech, culture, and innovation. The Festival is running for the first time ever and is completely free of charge. They have great things on their lineup, including morning concerts, yoga sessions, talks, and workshops. I might actually be doing a talk myself as part of The Festival programme, so stay tuned! That's all from this time's takeover. Thanks so much to Clara and Zandra for allowing me to take over Lilla Vardag for a day, I had so much fun - and thanks to everyone who asked questions and made it such a great day!